With the notable exception of the businesses that make appearances on reality TV or high-growth high-tech companies, most small business owners aren’t looking for millions of dollars to ramp up sales, launch new products or otherwise fuel growth. In fact, many business owners are able to leverage relatively small amounts of capital into big results. Fortunately, while many banks are stepping back from making relatively small loans of $150,000 or less to small business owners, there are lenders that have stepped in to fill the void left by those bankers retreating from loans they see as too risky or not very profitable. Depending upon the age of the business or the business’ credit profile, they may even have more than one option. 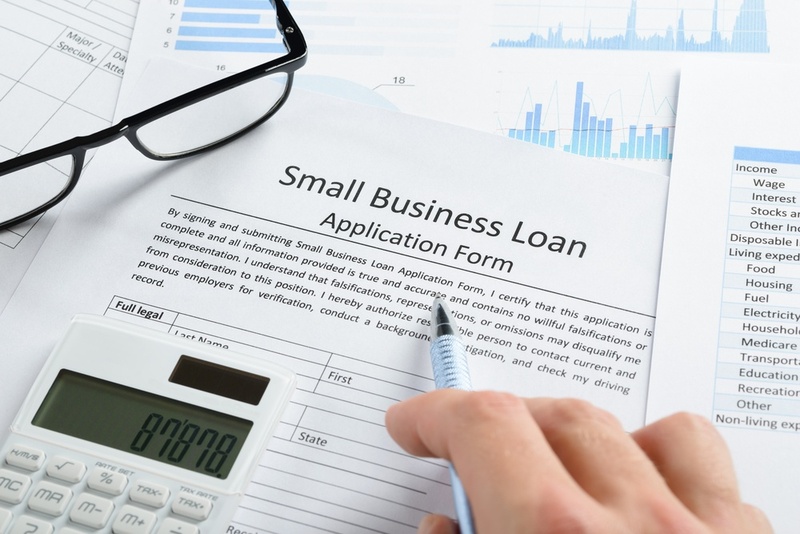 The SBA, a U.S. government agency tasked with running the flagship national loan guarantee program, recognizes how important small loans are to the smallest small business owners, and they’re trying to make them more accessible. In an effort to encourage more of their participating lenders to make loans under $150,000, they started by removing fees on 7(a) loans in that category a couple of years ago. The 7(a) loan guarantee program is one of the most popular loan guarantee programs, and it appears the strategy is helping. Within the first six months of implementing the removal of fees, SBA-backed loans under $150,000 increased by around 15 percent. Earlier this year, the SBA increased their efforts to court credit unions into joining the ranks of SBA lenders in higher numbers with the idea that they would be a great fit for borrowers looking for smaller loan amounts the bigger banks weren’t interested in. In addition to what they’re doing with the 7(a) program, their micro-loan program is helping business owners looking for $50,000 or less. The SBA considers any loan of $50,000 or less to be a micro-loan. They make these micro-loans available to business owners through nonprofit community-based lenders. According to the SBA, the average loan size in this program is roughly $13,000. The program is designed for those business owners who can leverage a relatively small loan amount into a positive impact within their businesses, for their customers, and the communities they serve. SBA-affiliated lenders aren’t the only place a business owner can fund a micro-loan; there are also community non-profits and other lenders who provide loans in that under $50,000 category. Like the community banks of years past, many of these micro-lenders believe a business owner’s reputation is an important metric when making loan decisions. In practice, if you can get 20 to 25 people from your personal network to contribute as little as $5 each to your financing goal, the Kiva Zip community of 1.5 million lenders will do the rest. They are looking for ways to tie the financing they provide back into the communities these businesses serve—which is one reason why Kiva Zip takes this approach. Of course, Kiva Zip isn’t the only lender looking at innovative ways to put micro-loans into the hands of small business owners. Accion, the AEO’s TiltForward initiative, and other non-profit lenders are continuing to find new ways to help serve small businesses. A new breed of lender has also stepped up to offer small business owners loans within this category of lending. Their services are available online, and while some of these lenders do make larger loans, loans of under $250,000 are the sweet spot for many of them. Like the loans described above, these loans are available to early-stage businesses, those with a year or two in business, along with established businesses. Loan terms vary from lender to lender and include shorter-term loans of six to 24 months as well as longer-term loans. When small businesses are looking for capital to fuel growth or fund working capital, it’s not that they want too much, but rather too little that makes it difficult to go into the local bank and get a loan. The power of these smaller loans is that, in the right hands, they help entrepreneurs who identify opportunities where a relatively small amount of capital can make a significant difference in their businesses. There are more options available than ever before for business owners to access capital to grow their businesses, expand and hire new employees, and strengthen local communities. Fortunately, there are places to look, and growing a small business doesn’t always require big bucks. Ty Kiisel is a contributing author at BusinessLoans.com, a new resource full of content addressing all aspects of business financing for small business owners. Ty has over 25 years of experience in the trenches of small business, and provides personal anecdotes and valuable tips to help small business owners become more financially responsible.